You could literally eat this stuff with a spoon. One of my favorite random questions to ask people is what their three favorite dips, condiments or spreads are. For me, hummus is up there with guacamole and almond butter. I'm honestly a total hummus addict. 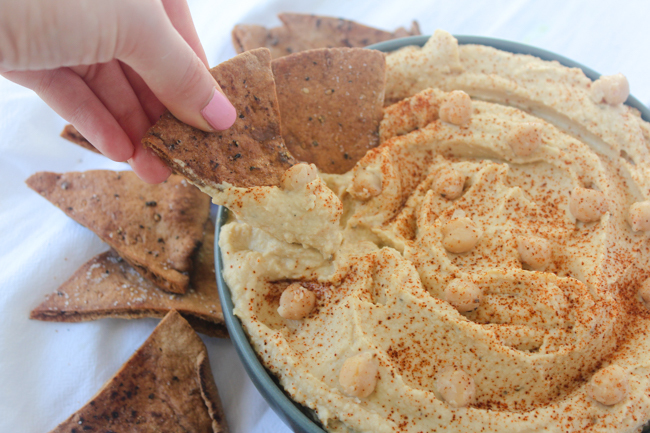 I created this recipe because it allows me to indulge without overdoing it on fat or calories (this hummus is only 40 calories for two tablespoons compared to 70 for typical hummus). 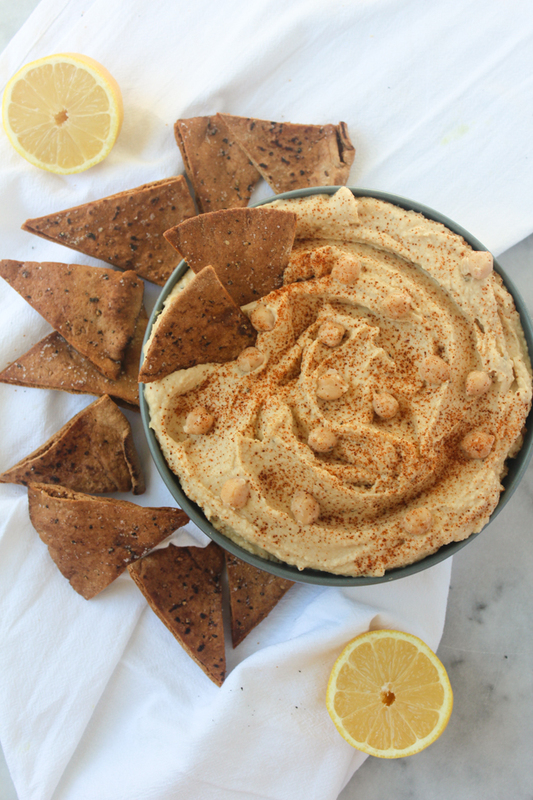 Although olive oil is a healthy fat, it's still important to eat it in moderation, which sort of goes out the window for me when it comes to hummus, so having the perfect recipe for an oil-free version is a necessity. 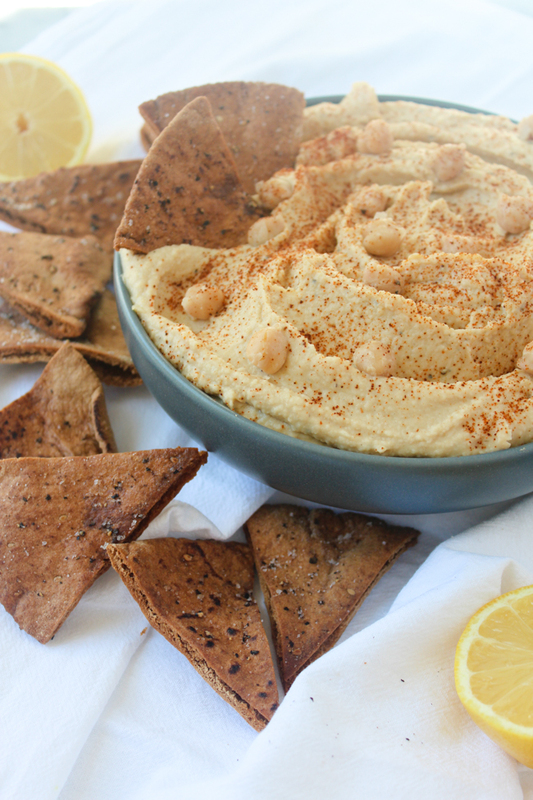 I'm not exaggerating when I say this is the most perfect hummus either. 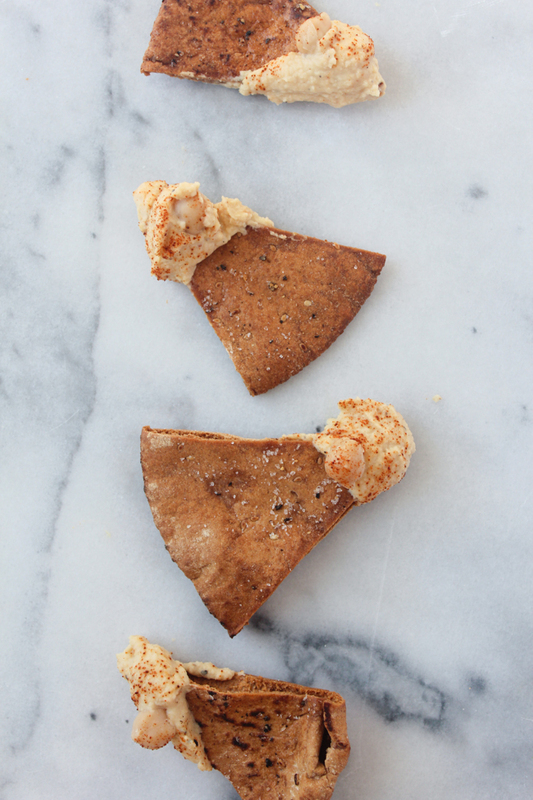 It's creamy with a hint of lemon and a touch of spice from the paprika; you won't miss the olive oil one bit. I also love how beautifully it compliments almost any other flavor. I've been mixing it with a bit of orange juice to make a salad dressing, dipping roasted sweet potato in it (from here), having it with raw veggies, stiring it into rice and pasta, and of course eating it with the aforementioned spoon. 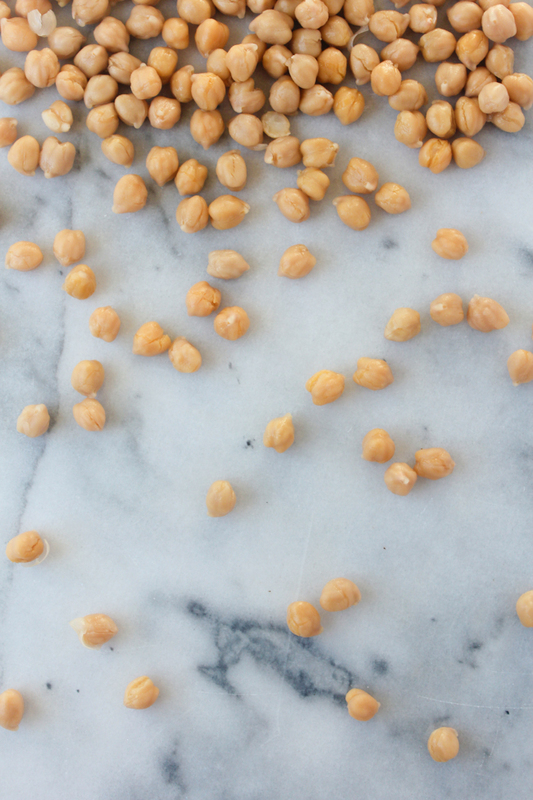 This is a great kitchen staple, super healthy (tons of protein and fiber from the chickpeas), and keeps well in an air-tight container in the fridge. I suspect anyone who tries it will become a hummus addict too. - Add everything besides the vegetable broth to a food processor and blend, drizzling in the vegetable broth while it blends until smooth (about 3 minutes). Season with salt and pepper. So simple! I need to try to make it! Super simple and much more delicious than store-bought (also less expensive)! wow this is so easy to make and looks so yummy. think I gotta try this out. Yes!! It is both of those things. 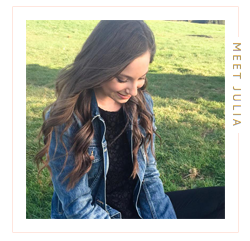 Let me know what you think when you give it a try!